President Kevin J Worthen and his wife, Sister Peggy Worthen, opened the school year with a Sept. 11 devotional on the importance of choosing joy and seeking inspired learning through personal revelation. Highlighting the word “might” in the scripture, Sister Worthen noted that living a joyful life is not a given right. “It says we ‘might’ have joy, not that we will have joy. Joy is something we have to choose. I believe that how we approach that choice, rather than circumstances in which we find ourselves is the key factor in whether we will have joy,” Sister Worthen said. She also told two stories to illustrate her point. The first was about a cab driver, Wally, who offered supreme customer service. Not only did the cab driver get out to open the door for all of his customers, but he had a laminated mission statement, beverages available for his clients, radio station options listed in the cab and kept his vehicle clean. When asked why he chose to offer his customers an above-standard experience, Wally said he had once been told, “If you get up in the morning expecting to have a bad day, you will rarely disappoint yourself.” After hearing this, Wally looked at his work in a positive light, which led to improved service. 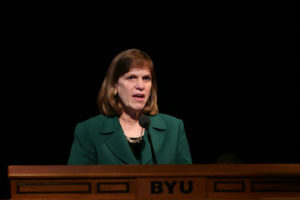 The second example Sister Worthen gave was of herself as an undergraduate student. While attending BYU, she had the opportunity to take Spanish and Norwegian courses. 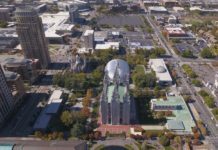 Despite her effort, Sister Worthen said she found herself struggling to learn the foreign languages. She said she became frustrated as her classmates began to advance and improve their own skills. Instead of focusing on her struggles, Sister Worthen said she instead focused on the positive aspects of each class. “As I focused more on the thing I enjoyed and was grateful for the chance to do those things, the things that were more of a challenge became more tolerable,” she said. Sister Worthen also encouraged students to make a conscious decision to follow scriptural counsel to choose joy over despair. Following his wife’s address, President Worthen spoke to students on increasing their ability to receive revelation as the key component to his previously-announced Inspiring Learning initiative. 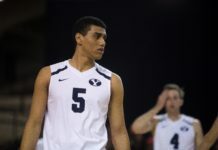 Students’ success at BYU also depends on their ability to “recognize, receive and respond to revelation,” President Worthen said. 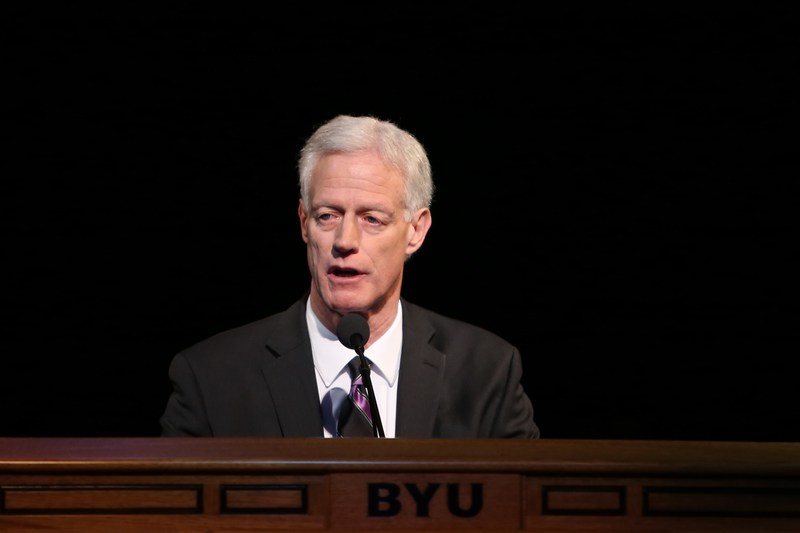 When he was a student attending BYU, President Worthen said he had trouble receiving personal revelation. 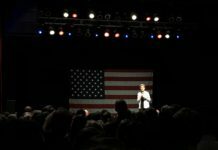 At times, he questioned if he was “spiritually tone deaf.” Addressing his talk to all those who may feel the same way, President Worthen assured those listening that no one is spiritually tone-deaf. Many students are better at receiving revelation than they think, according to President Worthen. “The scriptures make clear that is is possible to be influenced by the Holy Ghost and not fully recognize it,” he said.